Speaking at Imphal, Rahul said he was committed to develop Manipur and the Northeast as “a centre for job creation and manufacturing, and as a historic bridge between between Asia and India”. 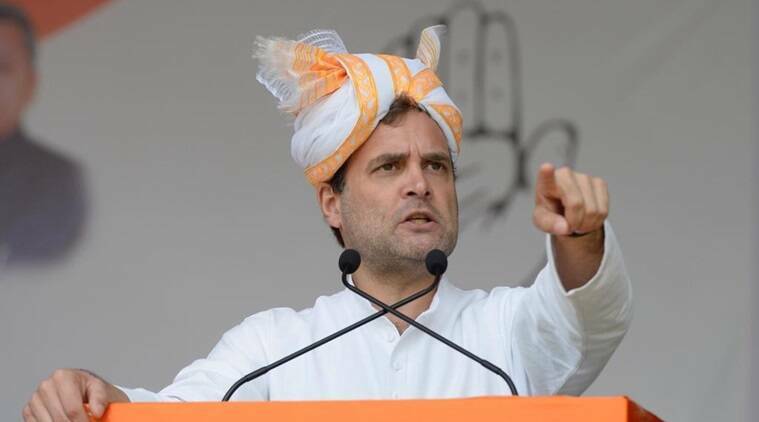 Congress president Rahul Gandhi on Wednesday alleged that the Narendra Modi government destroyed one crore jobs in 2018 after promising to create two crore jobs annually. “In 2018, Prime Minister Narendra Modi destroyed one crore jobs. This is the scale of his incompetence. It is so absurd, ridiculous that our Prime Minister makes a statement about giving two crore jobs to India and the truth is that last year, every day, the Prime Minister destroyed 30,000 jobs,” he said. The Indian Express on Wednesday reported data from the NSSO’s Periodic Labour Force Survey 2017-18, which show that for the first time since 1993-94, the actual size of India’s male workforce has shrunk. This is the first instance of a drop in the male workforce that steadily swelled from 21.9 crore in 1993-94 to 30.4 crore in 2011-12 when the last NSSO survey was conducted. This suggests fewer men were employed in 2017-18 compared to five years ago. 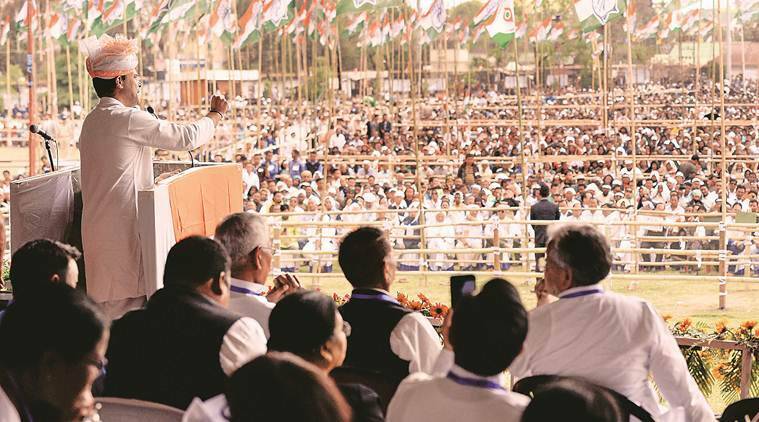 Speaking at Imphal, Rahul said he was committed to develop Manipur and the Northeast as “a centre for job creation and manufacturing, and as a historic bridge between between Asia and India”. He promised to reinstate Manipur’s special status and implement a special industrial policy for the Northeast. “We will help you with infrastructure, road connectivity, airport connectivity, cellphone connectivity, and we are committed to make you the centre of a bridge between Asia and India,” he said. The Congress president slammed the BJP on the appointment of the now suspended Manipur University V-C Prof A P Pandey, on the Citizenship Amendment Bill and the arrest of persons for “expressing their sentiments”. On the Citizenship Amendment Bill, Rahul reiterated that the Congress won’t let the Bill pass. “I am committing to you here that the Congress party will defend your culture, history and language,” he said.